The HYDAC valve stacking system, type L, is a control block. Its components are of individual modules for hydraulic systems in a parallel arrangement. This system is chiefly for controlling low-volume consumers and for pressure/force resistance tasks. 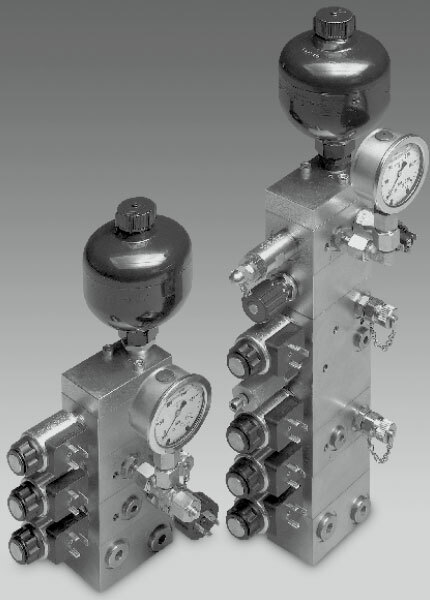 What’s more, combining function modules with directional poppet valves, pressure and shut-off valves and pressure switches can be on a base module. It can also be in any order in accordance with the sequence of the control tasks. The end representation is an end module with or without additional functions. The stack holds it together with two tie-bolts. Different base modules are suitable for building onto HYDAC HP and CA power units, or onto any hydraulic system by means of an inline base module. A cost-effective control due to series production of modules.